"We never knew the importance of IT help desk ticketing software until we got one, and got the right one. We chose ManageEngine ServiceDesk Plus and it has never disappointed us." "ServiceDesk Plus is a simple yet powerful IT helpdesk ticketing software. ServiceDesk Plus has been a great decision both functionally and financially for us." "ServiceDesk Plus has provided tremendous value for our organization. It's easy to manage, very powerful IT support system. We use it to manage requests for multiple teams in our company like IT, facilities, marketing and HR." "I find ServiceDesk Plus to be extremely customizable IT ticketing software. Without all the fuss of coding and testing, we were able to roll it out and train our analyst base quite efficiently. It has helped us manage our requests and keep our inventory under control with great ease. " "One of the major advantages of ServiceDesk Plus is that it complies with ITIL life cycle. This has reduced the time and efforts of our team to adopt incident and change management. Another advantage compared to the other help desk ticketing software is, the simple and user-friendly interface. " "By far the best ServiceDesk tool in the market. The support is top notch and very efficient. Glad to work with an IT help desk system with such maturity." "ServiceDesk Plus is a fantastic IT support ticketing system for small and mid-sized businesses. ServiceDesk Plus is everything that you would want in an application. It handles tickets and assets and helps structure and discipline your IT department. We just love it!" "What we find impressive with this IT helpdesk software from ServiceDesk Plus is the flexibility in the setup. We are able to create templates for specific needs to separate the tickets and reporting in each of the departments, providing a seamless experience for our users." 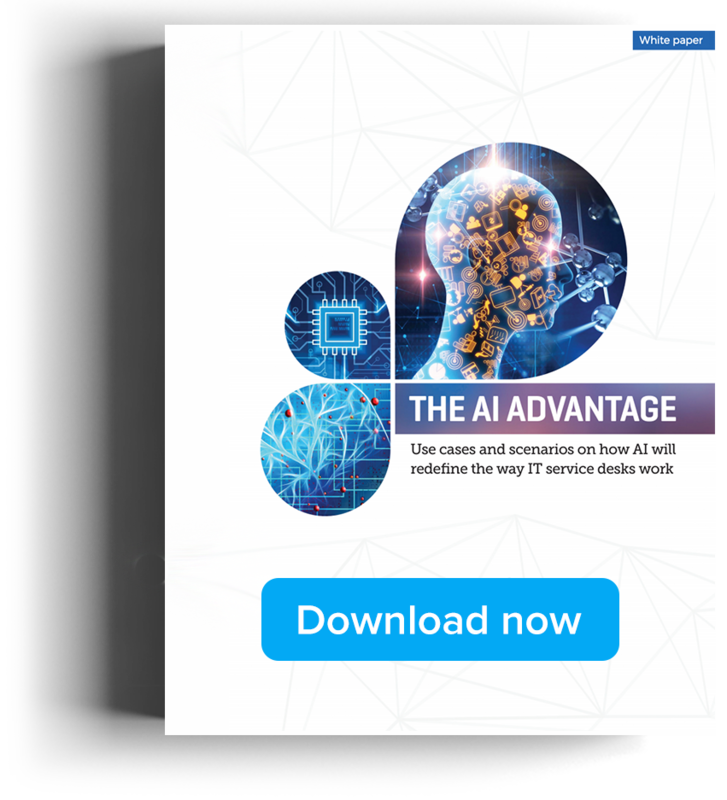 "We looked at couple of best help desk software like ServiceNow and Remedy Force and ultimately we were convinced to go with ServiceDesk Plus because it met the needs we had at a price point that was attractive. " "ServiceDesk is everything you want in an application! This help desk support software helps us in our daily operational activities.It will handle tickets; it has assets and helps your IT-department to get structure and discipline! We just love it! " "ServiceDesk Plus is the best IT help desk that allowed us to streamline our support tickets in order to provide fast and efficient support, it also allowed us to see all of the assets on our network irrespective of site and give us overview of finite details. " "Everything we want to do with IT ticketing system at Radiology Associates is running through ServiceDesk Plus - service desk, asset management, project management. ServiceDesk Plus is ticking all the boxes for us. I am 100 percent a customer for life." "ServiceDesk Plus is an excellent IT support ticketing software. We simply love the dashboard as it allows us to keep a watch on the tickets and quickly provides useful information. The ticket workflows and automation help us reduce complexity and resolve issues faster." "ServiceDesk Plus has been an exceptional help desk ticket system that lowered my stress level a great deal, I know that everything I need to know is in one place. I know what is in the queue and confident that I haven't forgotten any shoulder tap requests. " "ServiceDesk Plus is a phenomenal helpdesk supporting system that gives us the entire sequence of activity in one single place. This helps us in audit operations. The team has also been able to take advantage of the easy reporting mechanism to get advanced analytics on their service desk operations which allowing us to enhance our performance. " "This ServiceDesk Plus help desk software has been great for our company. There are very few tasks that fall short due to our busy work schedules. Communication plays a big part in our duties and ServiceDesk Plus has helped us tremendously. Thank you." "This is by far the best help desk software ever invented. It's easy to use and quick to learn. It's got many features other help desk ticketing system don't have. My hats off to the team for making the best software I have ever used." "Great product. I love how this has made my day-to-day tasks easier to manage and I don't forget the requests my clients want. It is also a great helpdesk support software to keep in contact and keep my clients updated at every step. I also love the solutions area. I use this as my notes storage, I can either let the client see it or keep it internal." "This has got to be the easiest and the most user-friendly helpdesk ticketing software of its kind. We have been using ServiceDesk Plus for years for all our help hesk, facilities, and purchasing needs. I love this software...renewing again..RIGHT NOW!" "My department uses ManageEngine's help desk software, ServiceDesk Plus in place of shared mailboxes. ServiceDesk Plus saves us valuable resources on our exchange server. Using the reporting functions of ServiceDesk Plus has helped us track productivity and streamline some of our processes." "ServiceDesk Plus give us world-class helpdesk support solutions. The push notifications have helped us stay on top of our tickets. We track ticket progress and update them on the go. We're simply more proactive these days without the hassles." "I'd say that ServiceDesk Plus is a best ticketing system that helped me manage my team and their assignments much easier, its reporting tool made me monitor and report team progress in a visualized way .. I love it so much "
"Fortunately, ServiceDesk Plus is a very good IT ticketing helpdesk software. It's easy to get started and grow without pressure. On top of that, the support is outstanding!" "We had a lot of issues with reliability, initial install, getting everything configured and up & running. ServiceDesk was kind of such wonderful IT helpdesk system that really easy to do all that. We were up and running in a day of installing it the first time. That's great!" Reduce outages, improve agent productivity, meet SLAs, and manage the complete lifecycle of your IT tickets. Classify, analyze, and take problems to closure. Analyze the root cause and reduce repeat incidents in your IT. Streamline planning, approval, and implementation with automated work flows. Ensure that there are no more unauthorized or failed changes. Create and publish your service catalog with custom service level agreements (SLAs) and multi-stage approvals. Ensure better end user satisfaction and better visibility for IT. Track and manage all configuration items and map their relationships and dependencies. Visually analyze the impact of changes and outages for informed decision making. Create projects, manage resources, and track progress. Integrate IT projects with requests and changes to fine-tune overall IT service delivery. Use canned and custom reports to gain the right insights. Monitor the health of your IT help desk performance using real-time and customizable dashboards. Enjoy tight integration with software that monitors and manages your networks, applications, desktops, and active directory. Get what you always wanted - 360-degree visibility of your IT! Discover, track, and manage your IT hardware and software assets in one place. Optimize asset utilization, avoid vulnerabilities, and ensure license compliance. 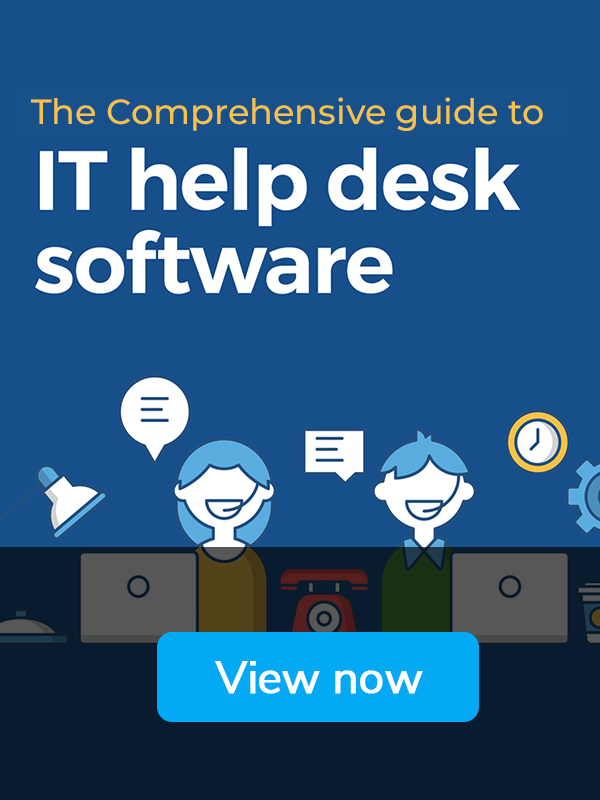 We never knew the importance of IT help desk ticketing software until we got one, and got the right one. We chose ManageEngine ServiceDesk Plus and it has never disappointed us. ServiceDesk Plus is a simple yet powerful IT helpdesk ticketing software. ServiceDesk Plus has been a great decision both functionally and financially for us. By far the best ServiceDesk tool in the market. The support is top notch and very efficient. Glad to work with an IT help desk system with such maturity. Also support your IT on the go!